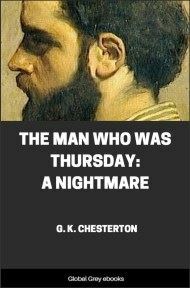 The Man Who Was Thursday: A Nightmare is a novel by G. K. Chesterton, first published in 1908. The book is sometimes referred to as a metaphysical thriller. In Edwardian era London, Gabriel Syme is recruited at Scotland Yard to a secret anti-anarchist police corps. 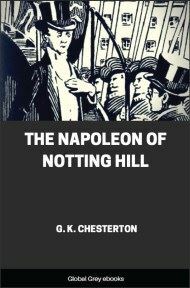 Lucian Gregory, an anarchistic poet, lives in the suburb of Saffron Park. Syme meets him at a party and they debate the meaning of poetry. Gregory argues revolt is the basis of poetry. Syme demurs, insisting the essence of poetry is not revolution, but rather law. 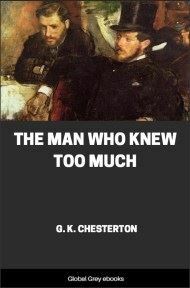 He antagonizes Gregory by asserting the most poetical of human creations is the timetable for the London Underground. He suggests Gregory isn't really serious about his anarchism. This so irritates Gregory that he takes Syme to an underground anarchist meeting place. 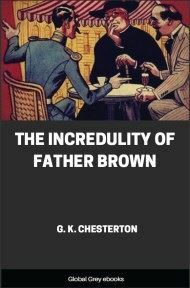 Like most of Chesterton's fiction, the story includes some Christian allegory. THE suburb of Saffron Park lay on the sunset side of London, as red and ragged as a cloud of sunset. It was built of a bright brick throughout; its sky-line was fantastic, and even its ground plan was wild. It had been the outburst of a speculative builder, faintly tinged with art, who called its architecture sometimes Elizabethan and sometimes Queen Anne, apparently under the impression that the two sovereigns were identical. It was described with some justice as an artistic colony, though it never in any definable way produced any art. But although its pretensions to be an intellectual centre were a little vague, its pretensions to be a pleasant place were quite indisputable. The stranger who looked for the first time at the quaint red houses could only think how very oddly shaped the people must be who could fit in to them. Nor when he met the people was he disappointed in this respect. The place was not only pleasant, but perfect, if once he could regard it not as a deception but rather as a dream. Even if the people were not "artists," the whole was nevertheless artistic. That young man with the long, auburn hair and the impudent face—that young man was not really a poet; but surely he was a poem. That old gentleman with the wild, white beard and the wild, white hat—that venerable humbug was not really a philosopher; but at least he was the cause of philosophy in others. That scientific gentleman with the bald, egg-like head and the bare, bird-like neck had no real right to the airs of science that he assumed. He had not discovered anything new in biology; but what biological creature could he have discovered more singular than himself? Thus, and thus only, the whole place had properly to be regarded; it had to be considered not so much as a workshop for artists, but as a frail but finished work of art. 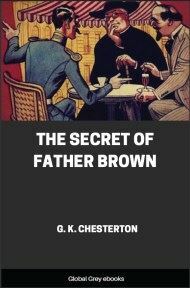 A man who stepped into its social atmosphere felt as if he had stepped into a written comedy. More especially this attractive unreality fell upon it about nightfall, when the extravagant roofs were dark against the afterglow and the whole insane village seemed as separate as a drifting cloud. This again was more strongly true of the many nights of local festivity, when the little gardens were often illuminated, and the big Chinese lanterns glowed in the dwarfish trees like some fierce and monstrous fruit. And this was strongest of all on one particular evening, still vaguely remembered in the locality, of which the auburn-haired poet was the hero. It was not by any means the only evening of which he was the hero. On many nights those passing by his little back garden might hear his high, didactic voice laying down the law to men and particularly to women. The attitude of women in such cases was indeed one of the paradoxes of the place. Most of the women were of the kind vaguely called emancipated, and professed some protest against male supremacy. Yet these new women would always pay to a man the extravagant compliment which no ordinary woman ever pays to him, that of listening while he is talking. And Mr. Lucian Gregory, the red-haired poet, was really (in some sense) a man worth listening to, even if one only laughed at the end of it. He put the old cant of the lawlessness of art and the art of lawlessness with a certain impudent freshness which gave at least a momentary pleasure. He was helped in some degree by the arresting oddity of his appearance, which he worked, as the phrase goes, for all it was worth. His dark red hair parted in the middle was literally like a woman's, and curved into the slow curls of a virgin in a pre-Raphaelite picture. From within this almost saintly oval, however, his face projected suddenly broad and brutal, the chin carried forward with a look of cockney contempt. This combination at once tickled and terrified the nerves of a neurotic population. He seemed like a walking blasphemy, a blend of the angel and the ape. This particular evening, if it is remembered for nothing else, will be remembered in that place for its strange sunset. It looked like the end of the world. All the heaven seemed covered with a quite vivid and palpable plumage; you could only say that the sky was full of feathers, and of feathers that almost brushed the face. Across the great part of the dome they were grey, with the strangest tints of violet and mauve and an unnatural pink or pale green; but towards the west the whole grew past description, transparent and passionate, and the last red-hot plumes of it covered up the sun like something too good to be seen. The whole was so close about the earth, as to express nothing but a violent secrecy. The very empyrean seemed to be a secret. It expressed that splendid smallness which is the soul of local patriotism. The very sky seemed small. I say that there are some inhabitants who may remember the evening if only by that oppressive sky. There are others who may remember it because it marked the first appearance in the place of the second poet of Saffron Park. For a long time the red-haired revolutionary had reigned without a rival; it was upon the night of the sunset that his solitude suddenly ended. The new poet, who introduced himself by the name of Gabriel Syme was a very mild-looking mortal, with a fair, pointed beard and faint, yellow hair. But an impression grew that he was less meek than he looked. He signalised his entrance by differing with the established poet, Gregory, upon the whole nature of poetry. He said that he (Syme) was poet of law, a poet of order; nay, he said he was a poet of respectability. So all the Saffron Parkers looked at him as if he had that moment fallen out of that impossible sky.